In just a few clicks, Softorino YouTube Converter makes it easy to download, convert, and transfer YouTube videos to your Mac or iOS devices. There was a time not so long ago when downloading YouTube videos to a personal computer required a mere click of the mouse. Try this trick today and you’ll discover it’s not quite so simple, thanks to Google’s renewed efforts to block downloads in favor of the advertising revenue generated by streaming. Of course, one can get around this by paying $10 per month for YouTube Red, which provides an ad-free viewing experience and the ability to save videos or songs for offline playback on mobile devices. But there are other ways to circumvent this challenge without the need for a subscription, assuming you don’t mind skating on the side of the legal pond where the ice is considerably thinner. A fuel gauge at the bottom displays the progress as files are downloaded and transferred. The difference here is that YTC can also download videos directly from YouTube’s servers, converting them on the fly to one of four quality settings of your choosing: 4K, 1080p, 720p, or 360p. (Native 480p videos transfer without conversion with 720p selected). 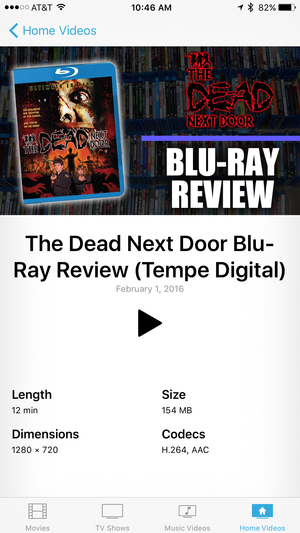 The resulting file is then transferred to the Home Videos section of Apple’s built-in Videos app, complete with thumbnail artwork. With YTC running, all that’s required is to copy a YouTube URL, which is automatically pasted into the application. Choose a quality setting and destination (which can be the Downloads folder of your Mac or any connected iOS device), click the red Convert button, and YTC does the rest. Now that YouTube has become the modern equivalent of a jukebox, music lovers will be happy to hear that YTC also includes an audio-only setting, allowing videos to be downloaded sans picture and similarly synced directly to the built-in Music app. There’s even a Preferences setting to favor MP3 over the Apple-centric default M4A format. 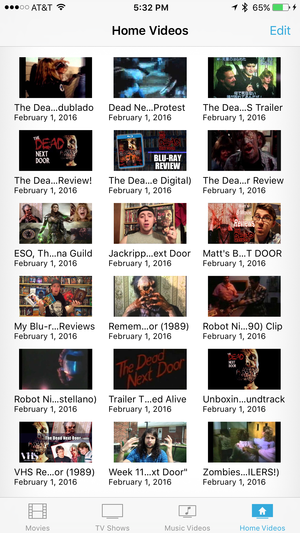 Transferred videos automatically display the same thumbnail artwork as their YouTube equivalent in the iOS Videos app. Softorino YouTube Converter transfers videos directly into the built-in iOS Videos app under the Home Videos category. Although you can copy multiple URLs into YTC while videos are processing, I found this method frequently tripped up current downloads; multiple URLs can instead be queued ahead of time, then transferred all at once, which worked more reliably. On occasion, transfers to my iPhone 6s Plus and iPad Pro would fail to work, but reconnecting or restarting the device always got things working again.